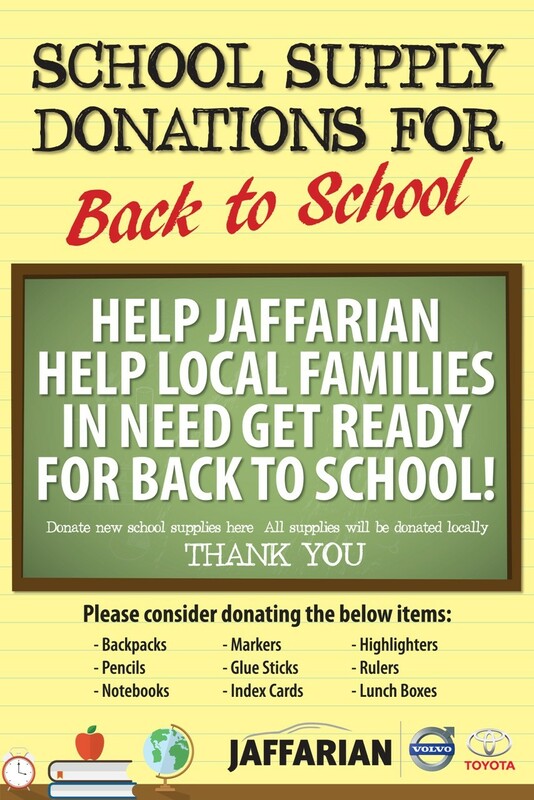 Jaffarian Automotive Is Accepting School Supply Donations For Back To School! 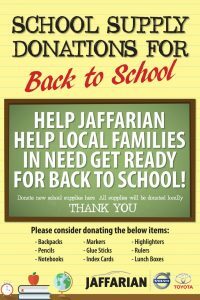 Help Jaffarian help local families in need get ready for back to school! Donate new school supplies at the dealership. All supplies will be donated locally.